WOW! Flixbus mega Spring sale: ALL routes for €9.99! Flixbus just informed us about a hot new promotion! 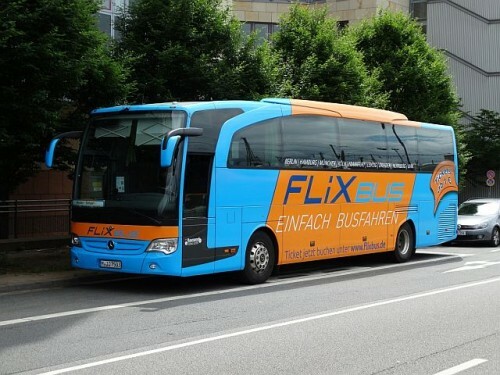 You can now book one-way tickets on ALL FLIXBUS ROUTES for only €9.99! This Spring sale is available in all countries and all cities where Flixbus operates. You have to buy your tickets until 19th April 2016. The availability of discounted tickets is of course limited but right now there are plenty of them on every route! Comfortable Flixbus buses with free WiFi can take you to France, Germany, Netherlands, Great Britain, Czech Republic, Austria, Italy, Sweden, Denmark and many other countries! Travel dates are from 1st June onwards. Hurry up and book those super cheap tickets! You can use this promotion to book also really long-distance bus routes, which normally cost €40+!